Noritz Launches EZ Tankless Series to Simplify Replacement of Larger Residential Tank Units in North American Market. Noritz’s new EZ Series of ultra high-efficiency tankless water heaters offer top-mount water connections and multiple venting and location options for faster, easier, less costly replacement of larger tank water heaters. Both new EZ models have their hot- and cold- water connections located on top of the unit — not the bottom, like most tankless heaters. This positioning allows the flexible water lines used by the previous tank heater to be quickly and easily reconnected to the new unit. Optimizes the perfect air/fuel ratio based on demand for better efficiency with less moving parts. .96 UEF / . 97 EF! 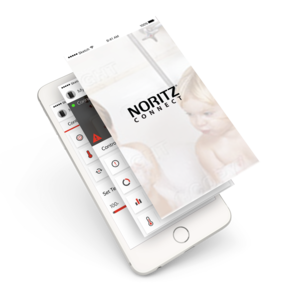 The Noritz Connect app is compatible with both of the new units, allowing for wireless remote control of -heater functions, as well as diagnostic and maintenance reminders. Inside each EZ model are two stainless steel heat exchangers that have a greater resistance to corrosion and scale buildup than other materials, thereby boosting system life. Approved in Canada: The EZ Series has been approved for use in Canada. 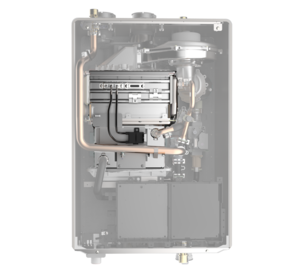 A major benefit for contractors looking to further streamline the tankless-for-tank replacement job is the availability of each EZ model in a “Bundle” package for indoor installation. Each combo package includes the heater itself, a flex vent conversion kit (comes with 25 feet of 2-inch flex), an isolation valve kit, and a startup guide. The EZTR40 package is designed for quick and direct indoor replacement of 40-gallon tank water heaters. 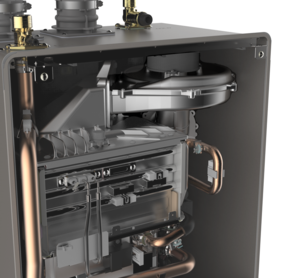 The EZTR50 package contains the new EZ98-DV, plus all the aforementioned components, for replacement of a 50-gallon tank water heater. 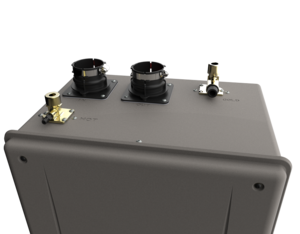 The EZTR75 package contains the new EZ111-DV, plus all the aforementioned components, for replacement of a 75-gallon tank water heater. The EZ models and their corresponding EZTR Bundles will be available for shipment to Noritz distributors in May 2017 and will include a 12-year warranty on heat exchangers, five-year warranty on parts and one year on labor.